Thank you for supporting Kewaskum Backyard Chickens. A small bump in the road, Wisconsin requires petitions to be filed under the guidelines of WI STATS. 9.20. I will begin working on drafting the formal petition for circulation. Please join our group https://www.facebook.com/groups/KWBYC/ for more updates. Many urban areas are allowing residents to own backyard chickens including Campbellsport, Eau Claire, Appleton, Wausau, Pewaukee, Bayview, Fox Point, Mequon, Milwaukee, Muskego, New Berlin, Racine, River Hills, Sturtevant, and Wauwatosa. Currently, the Village of Kewaskum does not allow residents to have backyard chickens (i.e. a small number of hens). We believe that small-scale chicken keeping is a healthy, economical and sustainable way to feed and enrich our families and our community. Besides making great pets, hens provide us with fresh eggs and encourage local sustainable living. The ability to raise chickens offers educational opportunities for our children. The two most common concerns residents have regarding urban chickens are noise and smell. Hens are very quiet animals. Compared to a dog's bark which can reach over 90 decibels, chickens can hardly be called a noisy animal. The best way to keep your hens content (and reduce any noises of irritation!) is to keep them in the perfect chicken house. As for the smell, it is true that any animal leaves behind waste. Just as dog owners are expected to clean up their pet's waste, so should chicken owners. In fact, the very same ordinances that allow for chickens in our surrounding communities require chickens to be kept in sanitary conditions just as other pet owners are expected to do. 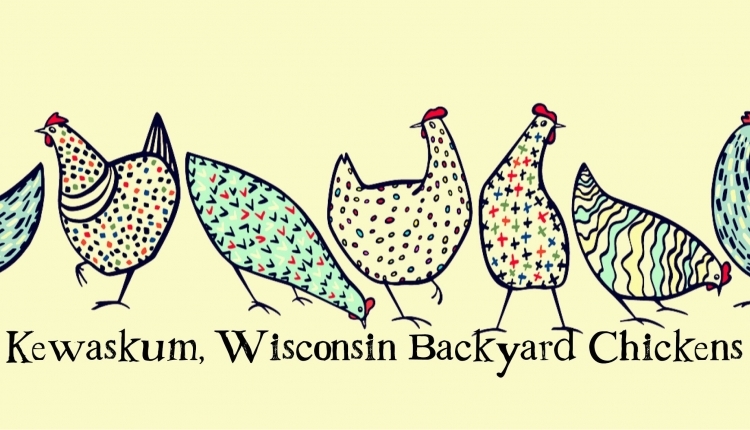 Kewaskum Backyard Chickens, a local movement of residents, urges you to join our fight. Use your given rights to vote for this change and sign the petition to bring chickens to Kewaskum! By signing this petition, you’ll be telling the Village of Kewaskum, Wisconsin, that you support raising backyard chickens. The Kewaskum Backyard Chickens petition to Village of Kewaskum Board was written by Theresa Lea Young and is in the category Law Reform at GoPetition.